When your old car breaks down, finding a replacement can either be easy or challenging, depending on your budget. These days, you can go on your computer or smartphone and apply for a car loan online. If you need a car fast without paying too much upfront, consider getting a used car lease. They offer the best value and is a great option when you need to get a car within the next two days. Before deciding, ask about the car’s history. Has it had any major repairs in the past? Does it currently need any fixes made? You can also take the time to go over the vehicle yourself for your peace of mind or ask a friend who is knowledgeable with cars to help you out. The reason for doing this is because you want to make sure that you will be getting your money’s worth when getting a new car for yourself. It can be difficult to know a car’s real history, which is why it is best to lease a car from a reputable source to ensure the vehicle you get is free from any hidden damages. How will you use the vehicle? When looking to buy a used car, it’s important to keep in mind how you will be using it. Will the vehicle be an everyday car you drive to work and for errands like going to the grocery store and picking up the kids? Or will you be using it for your business? However and for whatever you choose to use your next vehicle, make sure that the one you purchase is a fit for what you plan to do with it. A ute is not a vehicle you will want to pick up your kids and groceries in, and a sedan is not a vehicle that can easily carry large pieces of wood for construction and other heavy tools. Make sure that the place you plan to get a car from has a wide array of vehicles for you to choose from so you can either look it up online or walk through their lot to find the perfect one to suit your needs. There are several ways to pay for a used car. You can buy it outright, or you can go with one of the more popular options like getting a car loan or a car lease. When you buy outright, it will be one less thing to think about down the line. However, not everyone can afford to pay everything upfront. And if you could, there is always a chance that you will be sacrificing other parts of your budget along the way. A car loan, on the other hand, is a great way to make sure you can pay for a car. If you’ve been struggling for approval for the past few months or so, you might not be able to get an approval. And if you manage to get approved, the interest rates might make it harder for you to make payments. 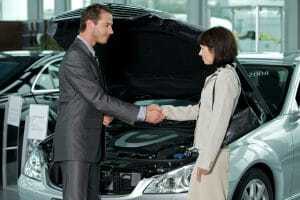 A popular choice for a used car is through a lease program. You can apply and get approved for a car lease faster compared to a car loan. They also cater to those with bad credit looking to turn their luck around. Not only will you be getting a car in the process, but paying a lease can help you improve your credit score with each payment made on time. However, it is essential that you can make the payments on time, every time. Finding a reliable used car can be hard. Luckily, you don’t have to worry about it too much when you decide to lease a car instead. That’s because, with a lease car, all you have to worry about is where you need to go next. in "Car Buying , Car Loan"